'Tomorrowland: Walt's Vision for Today' remains on exhibit through December 7. Pictured here: Disneyland's famous Monsanto House of the Future from the 1950s. Walt Disney in the 1950s. He may be better known for Mickey Mouse than for cutting-edge architectural design. But even casual fans of cultural icon Walt Disney—and who isn't?—know about Tomorrowland, "where the future is today." But Tomorrowland, a feature of Disneyland that came complete with one of the first monorails in America, remains far from Disney's only exploration of modern design. According to fans of the man and of mid-century design, Walt was a seer who created one of the earliest modern office complexes ever seen, lived in two fabulous mid-century modern houses in Palm Springs, and hoped that his explorations into all things futuristic would do more than entertain people but improve their lives. The museum's current show, 'Tomorrowland: Walt's Vision for Today,' which remains up through December 7, gives fans of mid-century modernism a better idea of Walt Disney's vision for a more livable, and certainly more visually stimulating, future. The museum is in San Francisco's Presidio. "Walt was very clever in people things that were forward thinking, very much in keeping not just in a design sense but in lifestyle. It was all about better living," says Bill Butler, a Disney fan who makes a living designing attractions for theme parks. Butler is leading a sold-out panel discussion at the museum about Disney and mid-century modern. 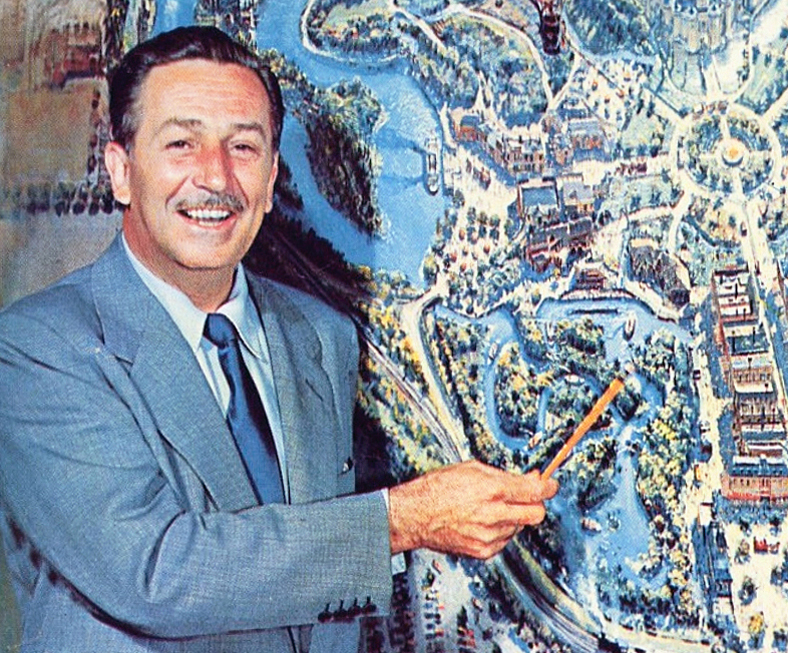 "In addition to being an entertainer, Walt was always in the forefront of designs and styles," Butler says. The panel focuses on "the influences, artistry, and experiences inspired by mid-century modern design in dozens of Disney creations worldwide," the museum states. 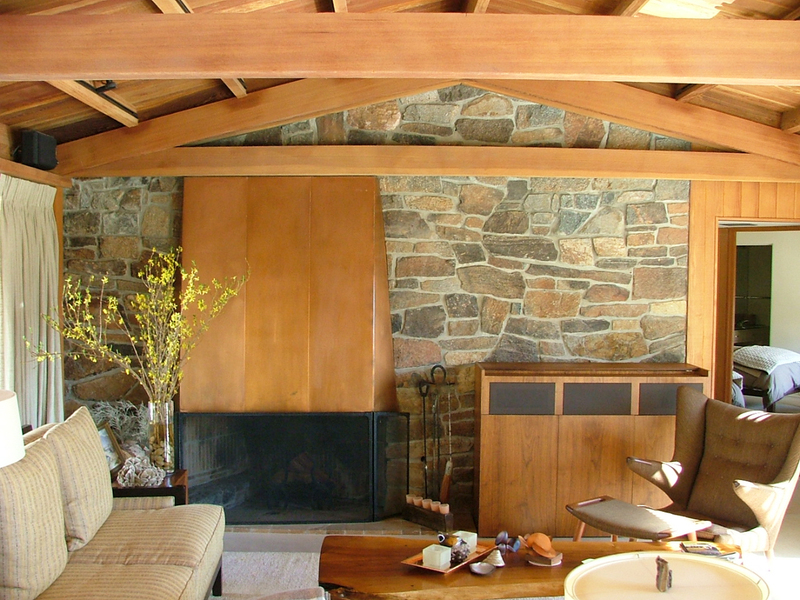 "Walt Disney's relation to modernism includes his own houses, especially the two Smoke Tree Ranch houses at Palm Springs, and his many planning projects over the years," says Alan Hess, the architectural author, mentioning many other large planning projects "that never went anywhere. But it prepared him for Disney World and Epcot." "The most important [Disney modern project] was the Disney Studio at Burbank from 1940, designed by Kem Weber," Hess says, "because this was the first high-tech campus in California designed from the ground up, and he [Disney] was involved with that deeply." "From his own houses to theme parks and the studio, he was a planner and architect," Hess says. Butler, who has been building theme parks since he was a boy, originally with Legos, also fell in love with mid-century modern, in part thanks to some of Hess's books on Googie design. 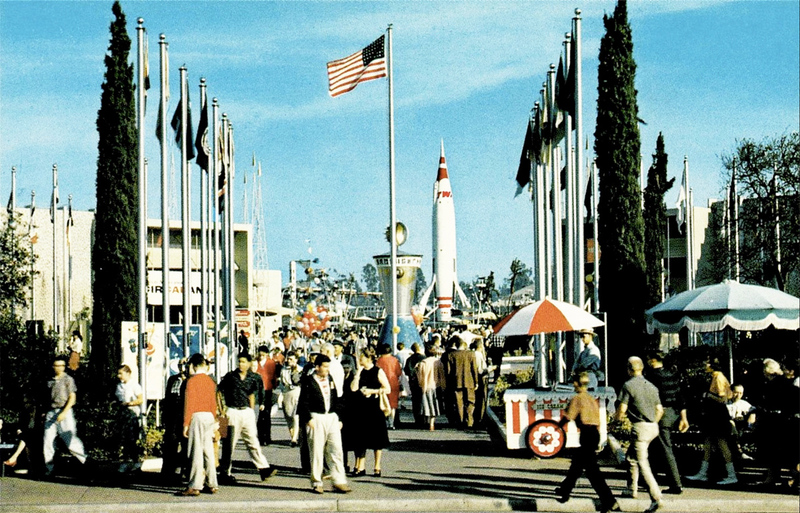 Butler describes Tomorrowland as it existed from from 1955 to 1967 as a trendsetting place, with Autopia ("an attraction that underscores the American love of automobiling, and particularly very obviously American sports car design") and the Monsanto House of the Future, which Butler suggests had real impact on the future. 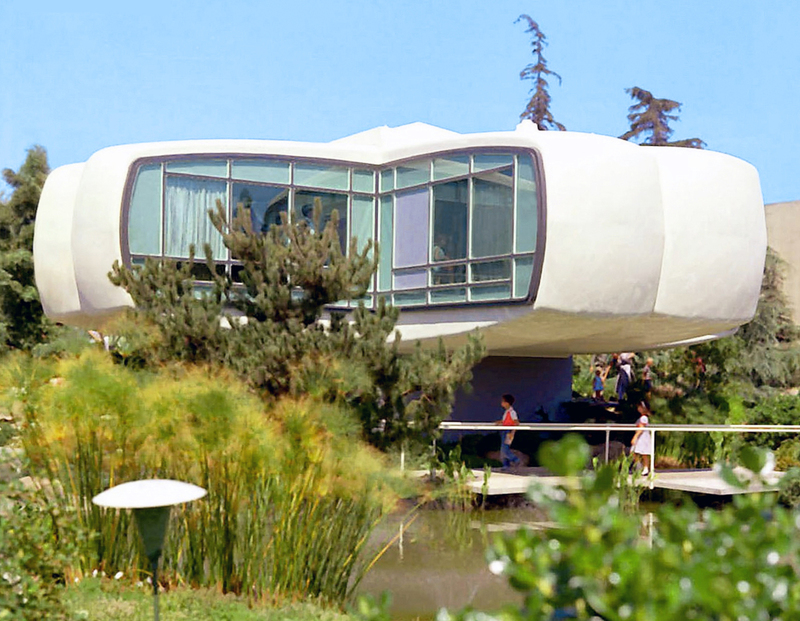 "The House of the Future was a remarkable case study house," he says, referring to experimental houses in general. "It was seen by millions and millions of people over the years it was there [in Disneyland], more than any other house. "I expect it had quite an impact. It was the most visible platform for that type of design in the world that ever existed." For more on 'Tomorrowland: Walt's Vision for Today,' click here.